Forget the paper chase on those chilly wintery nights! 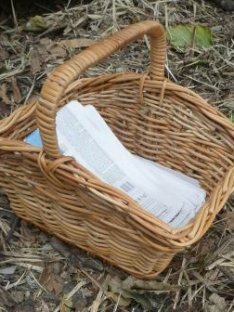 Fill one of our wicker Paper Baskets with the pages of your local rag and you will forever have material to add fuel to the fire. Med – $59, Large – $79.